INTERNATIONAL BUYERS, PLEASE NOTE: Free shipping is for United States purchases only. With a few exceptions, we are happy to ship internationally. Please contact us at invisiblei@aol.com with your shipping details so that we can send you a Paypal invoice with the proper shipping. International rates vary from $25-$75, depending on service and size and weight of the package. For a fact sheet including table of contents see this link. For the general index see here and the state index is here. #02114 NEW! 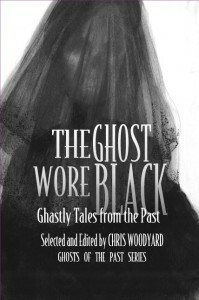 The Ghost Wore Black: Ghastly Tales from the Past, Chris Woodyard, [ISBN 978-0-9881925-1-5] 6 x 9” 256 pp. Trade PB $16.95 NEW! 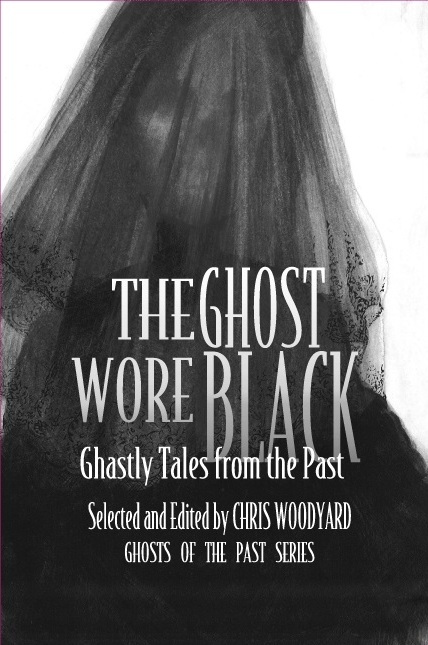 Ripped from the Headlines of the Past, this book is a new departure for Chris Woodyard, author of the popular Haunted Ohio and Ghosts of the Past series. Known for her exploration of Ohio’s ghosts, now she goes national with a new collection of Victorian and Edwardian ghosts, evil entities, Fortean mysteries, and the paranormal panics and obsessions of long ago. There are apparitions of fiery devils, giant ghosts with clubs, Men and Women in Black, death omens, uncanny objects, ghostly murder victims, and ghastly phantom faces peering in windows, all resurrected from original 19th-century sources. *The sinister Women in Black who terrorized communities across the country. *The Wild Man of Stamford—madman or myth? *And many more long-lost tales of ghosts, hauntings, and mysteries from across America. Over 130 stories from 32 states. Sure to appeal to ghost-story fans, history buffs, and steampunk aficionados.